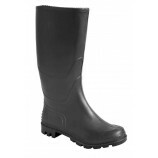 A huge range of safety boots and safety shoes to buy online at low prices - we even offer quantity based discounts automatically if you are buying in larger quantities. 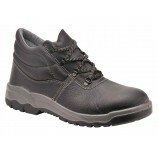 Best Workwear offer work boots for both men and women in a huge range of styles. 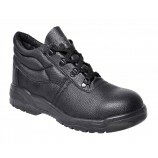 There are traditional industrial boots such as rigger boots and steel toe ankle boots as well as some of the latest developments in metal free safety boots with composite toe caps and Kevlar midsoles. We are particularly strong in our range of waterproof work boots, ideal for if you work in the great outdoors and are fed up with wet feet! 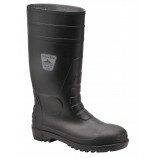 There is also a good selection of warm insulated safety boots - which have been incredibly popular during the recent hard winters. The range of safety trainers is a growing consistently and there is now a great selection for those who don't want to sacrifice style for safety. We also stock a selection of safety boots specifically for women. These are available in some more feminine designs but also tend to not be as wide in the foot - something that is often a problem for women wearing unisex boots. All safety boots conform with the relevant EN ISO standard; you can use the filters on the left to select a specific rating - S1, S1P, S3 etc. 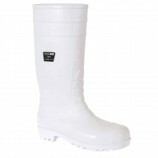 We also stock a range of occupational footwear without a safety toecap for less demanding situations.